Trying to decide which of the 2018 Subaru Forester trim levels you want to drive around Westport. With six from which to choose, there’s no shortage of options. 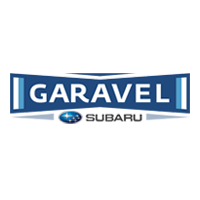 Learn more with Garavel Subaru in Norwalk! 2.5i: For an MSRP from $22,795, the base trim offers symmetrical all-wheel drive, SUBARU STARLINK multimedia, and Bluetooth controls. 2.5i Premium: Pay from $25,695 MSRP to upgrade to available EyeSight driver assist technology, a panoramic moonroof, automatic climate control, and more. 2.5i Limited: Enjoy leather-trimmed upholstery, fog lights, and blind spot detection and a rear cross-traffic alert for an MSRP from $29,395. 2.5i Touring: Step up to this mid level trim for a heated steering wheel, a one-touch folding rear seat, and LED steering responsive headlights, all for $33,090 MSRP. 2.0XT Premium: Get a turbocharged Subaru Boxer engine capable of 250 hp, a sport design front fascia, and more at an MSRP from $29,495. 2.0XT Touring: For $36,090 MSRP, get the turbocharged Boxer engine, a power driver’s seat with memory functionality, and more. Connect with Garavel Subaru to learn how the Subaru Forester compares to the competition, and then head to the dealership to browse our Forester inventory!